Miss Immy's London: 香港活在伦敦 Hong Kong - Live in London! Have you ever been to Hong Kong, or at least wondered what it might be like? Well, starting tomorrow is 'Hong Kong - Live in London' - a festival celebrating all the best things Hong Kong has to offer. 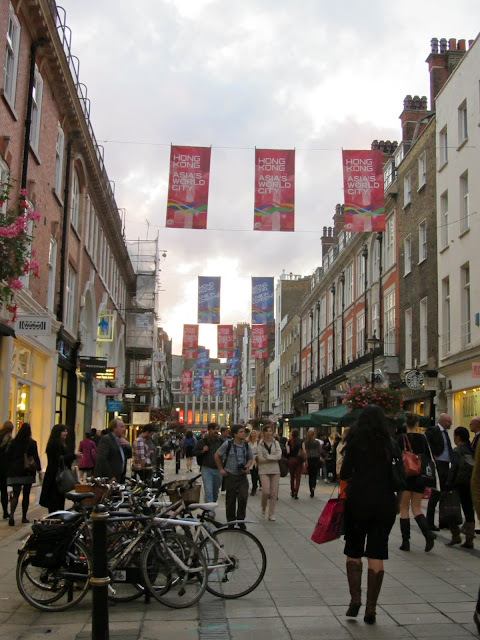 The street festival on South Molton Street runs from 12th-18th Sept and promises to be a lot of fun. Whether you want to attend a film, listen to music or watch street performers and dragon dancing, it's all going on here. Or you might like to head to Mews of Mayfair and taste the exquisite cuisine from Michelin starred Chef, Tsang Chiu King. For full details, check out the 'Hong Kong - Live in London' Facebook page here. There's also a chance every day this week to win a holiday for two to Hong Kong including return flights, 4 nights hotel accommodation and a dinner at the Michelin starred Ming Court restaurant. It's going to be Asia-tastic! 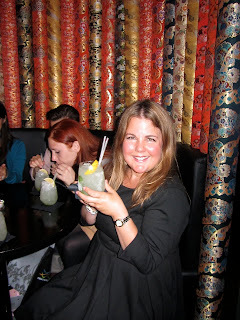 In association with 'Hong Kong - Live in London', I was fortunate to be invited to a special bloggers treasure hunt last week by the nice people at the Hong Kong Tourism Board which involved a mini magical mystery tour around a few Hong Kong related London hotspots. Our first clue was to find a hotel beginning with 'L' affiliated to a hotel of the same name in Hong Kong. So off to The Langham Hotel we trapsed and were greeted with a beautiful pink rose. Langham Place Hotel in Hong Kong is part of the same group of stylish and upmarket hotels, all of which are filled with the heavenly aroma of ginger lily scent. Next stop was the China Tang restaurant at The Dorchester Hotel, which was set up by Sir David Tang who created the chic fashion emporium, Shanghai Tang. It is one of the best (if not the best) Chinese restaurants in London, reknown for its peking duck. As you would expect with Sir David Tang's impeccable taste, the restaurant has been designed beautifully with traditional and contempory Chinese art adorning the walls. Our brief visit involved a quick visit to the restaurant loos, in order to secure our next clue, where we listened to the unusual sound of a poetry reading. Peculiar I know. Then we were off in the direction of South Molton Street. South Molton Street and Lancashire Court off Bond Street, are the main locations for 'Hong Kong - Live in London', partly because of their resemblance to Lan Kwai Fong in Hong Kong, an area of little pedestrianised streets tucked away off the beaten track, full of wonderful bars, restaurants and cafes. South Molton Street is currently full of flags promoting the festival and will be a hive of activity. Many of the shops on South Molton Street are getting involved, including Diptyque, Radley, Space NK, Ted Baker and Butler & Wilson - there will be some amazing special offers including free gifts with purchases and fantastic discounts. See the Facebook page for more details. There is also a Hong Kong film festival taking place from 13-16th September at the Prince Charles cinema in Leicester Square - click here for listings. Then why not nip around to Chinatown afterwards for some festive spring rolls and a cheeky Peking duck and a bottle of Tsingtao beer. The next installment of our treasure hunt was Mews of Mayfair for fabulous refreshments, including a private cookery demonstration by none other than Michelin Chef, Tsang Chiu King from Ming Court, the highly acclaimed two Michelin star restaurant at Langham Place hotel in Hong Kong. It was a real honour to watch him prepare one of his signature dishes, pan-seared chicken and chestnuts with truffle and pumpkin. He made it look so effortless, and prepared it with the same ease that I prepare fish fingers! 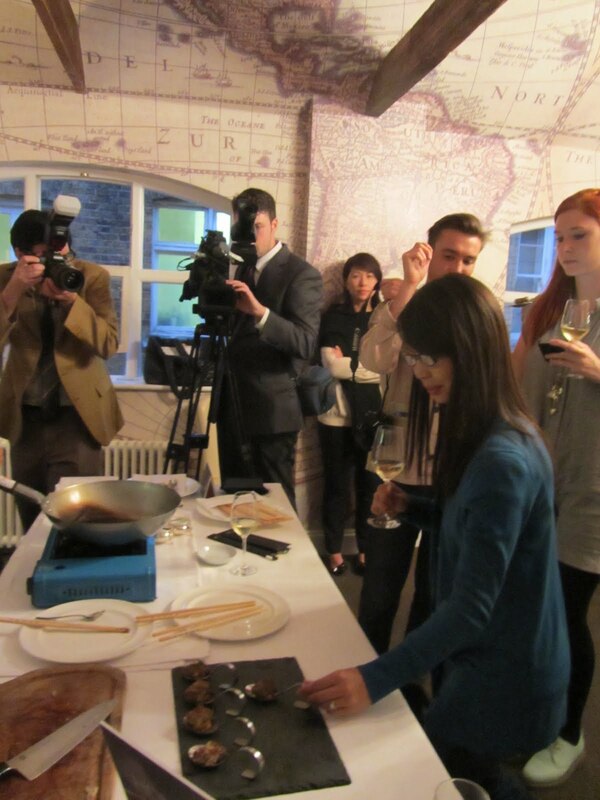 We all got to taste the dish which really was melt-in-the-mouth delicious. 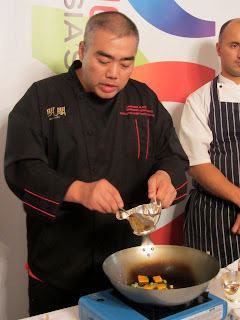 We also tasted the best prawn toast ever, and an unusual dish of crispy sole in a honey type fritter with pineapple. All amazing and accompanied by some very nice wines from Mews of Mayfair. Seriously, if you get a chance to try the special Hong Kong inspired menu during the festival, I guarantee it'll be worth it. It's a set menu at £24 for 3 courses or £19 for 2 courses which I think is a bargain, quite frankly! Our final port of call to end the treasure hunt was Aqua - an impressive restaurant and bar on top of the old Dickins & Jones building with a roof terrace overlooking Regent Street. Aqua originated in Hong Kong (hence the treasure hunt connection) and has branches in Beijing and London. We rested our weary feet and enjoyed some delicious chilled cocktails including a very refreshing lychee and pear mojito. We found a pew on the roof terrace and chatted in detail about the crazy few hours we'd just spent galavanting around town discovering so many Hong Kong-related delights. Watch the electrifying Symphony of Light show from Central. Marvel at the use of bamboo scaffolding on the high rise buildings. Watch in bewilderment as thousands of Filipino women congregate in the parks on Sundays to picnic together and chatter to the point where it sounds like happy tweeting birdsong. Visit Yuen Po Street bird garden where songbird owners carry their beloved pets around in beautiful cages. The sound is enchanting and gives the Filipinos a run for their money! Explore Lantau Island, Kowloon, New Territories and even head into China. It's all right on the doorstep. If you enjoy food and are thinking of going to Hong Kong anytime soon, then you may like to attend the Hong Kong Wine & Dine Month from 27th Oct - 30th Nov. A month-long epicurean feast! So if that hasn't got you booking the next flight to Hong Kong, then I don't know what will! But whilst you're pondering that thought, definitely check out 'Hong Kong - Live In London' this week for more inspiration. You may also like to try a few other Chinese delights - pop into the Mandarin Oriental hotel in Knightsbridge for a cocktail, before nipping around the corner for a spot of luxury shopping at Shanghai Tang on Sloane Street (the ginger flower room spray is one of my guilty pleasures). I hope you enjoy 'Hong Kong - Live in London'. Maybe I'll see you there! Many thanks to the lovely folk at the Hong Kong Tourism Board for inviting me on the treasure hunt - such a fun evening. I have just been awarded a fantastic prize by the HKTB for this blog post. A trip to Hong Kong in Jan 2012 to see in the Chinese New Year. I am so thrilled! You've made me want to book a flight to Hong Kong! 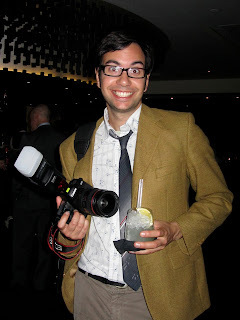 I will definitely be visiting 'Hong Kong - Live in London' - great blog, thanks! You've certainly convinced me to visit 'Hong Kong - Live in London'. Great blog, as always -thank you. This was so interesting. I've always wanted to go to Hong Kong sometime in my life and your blog has made me want to do this NOW! It's great to have these places in London but I am sure that nothing can be as exciting as going to the real thing! Thanks MissImmy - you have really whetted my appetite. My mouth is watering just reading the blog! Thanks Miss Immy - I'm no longer at a loss with what to do with our Canadian visitors this week! So this was the HK Treasure Hunt that Sabrina was talking about last week. So miss HK. Used to live there and miss the great food. BTW, South Molton Street is nothing like Lan Kwai Fong, the boozy expat hangout in Central. A street near Covent Garden with overflowing bars and clubs would have been more apt. Thanks for all the great comments. May, I agree Cov G would be more apt. I think it's more Lancashire Ct that has the 'hidden' feel. This looks amazing! Great blog post (as always...). I can't wait to go. What an intersting blog Immy. 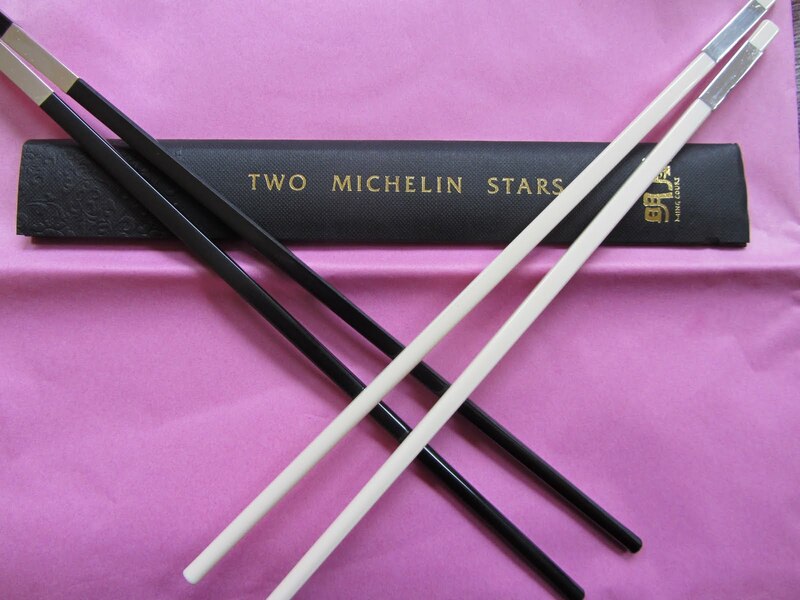 My mouth was watering just reading about the Chinese culinary delights! Would have loved to have the demo by the Michelin chef. I love the way you have described this treasure hunt and tasting extravaganza, it all sounds so delicious! I went to Hong Kong about 20 years ago and it has really made me want to go back, revisit new and old places and soak in the atmosphere which you have so beautifully depicted. What a Fant-Asia-astic blog! 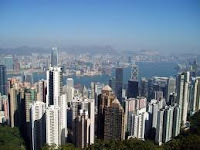 Makes one want to visit both the HK week and HK itself! Well written! Once again, thanks to everyone for leaving so many lovely and positive comments. Makes blogging all worthwhile! Jacqueline, there's still time to go to the festival if you get a chance. Wishing you a great trip to HK! What a thorough comprehensive post. Hope you win. 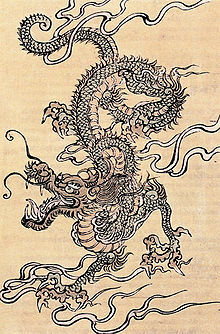 Did you know that the year of the dragon is THE most auspicious year in the Chinese calendar. I have just been awarded an amazing prize by the HKTB for this blog post. A trip to Hong Kong in Jan 2012 to see in the Chinese New Year! I am beyond excited!! Thanks again for all your fantastic comments. Sounds like fun. It is great that they were able to decorate the place up to make it look like Hong Kong. The food looks delicious too.